When you think of Europe, what comes to mind? The castle-dotted French countryside? Italy’s hill towns? The spires of Paris’ Sacre Coeur? The ancient architecture of Rome? 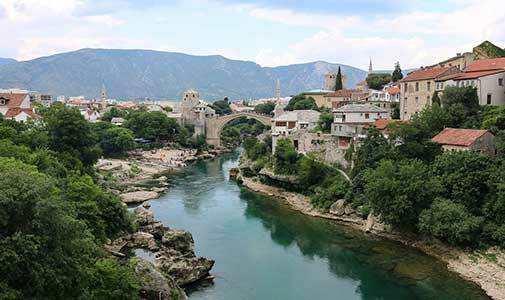 What about the jagged alps, rolling hills and cobblestone old towns of the Balkans? 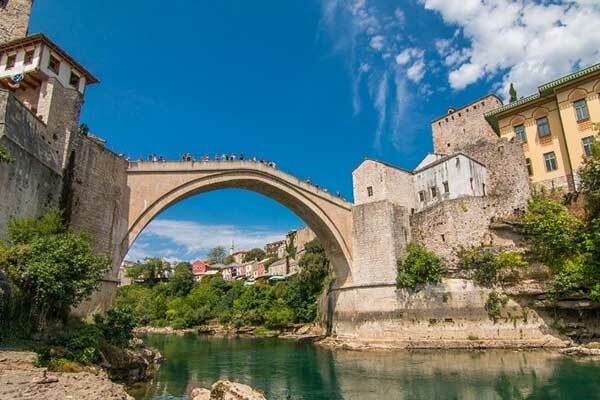 Less well-known and less well-explored by non-European tourists, this eastern slice of Europe has a rocky recent history, with war only 20 years in the past. But don’t let that deter you: the region has bounced back beautifully and offers some real gems that not every tourist takes the time to explore. It may be one of the smallest capital cities in Europe, but Ljubljana has more than its fair share of charm. Climb up the castle hill for a stroll around the lush, green grounds and views that sweep over the city and to mountains in the distance. A cobblestone-clad old town winds along the riverbanks full of specialty honey shops and chocolatiers, artsy boutiques and incredible gelaterias. Just outside the core you’ll find an enormous park with quiet lakes, zig-zagging bike paths, manicured lawns and a ski jump at its centre. 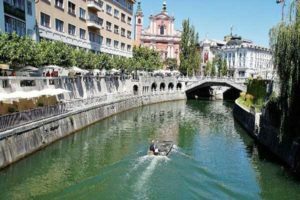 Within an hour or two by train or bus, you can also explore one of Europe’s largest cave systems, a charming fairytale lake town overlooked by a castle (Bled), or the valley that hosts the bright blue-green Soca River. Step off your bus or taxi and into old town and you’ll feel like you walked straight into a fairytale. The streets are narrow, cobbled, and hung on every side with colourful scarves, intricate lamps and shining Bosnian coffee sets. Scents of spicy roasted meats and rich coffee waft from cafes and restaurants dotted throughout old town. And bridges zig and zag their way across the river gorge below. 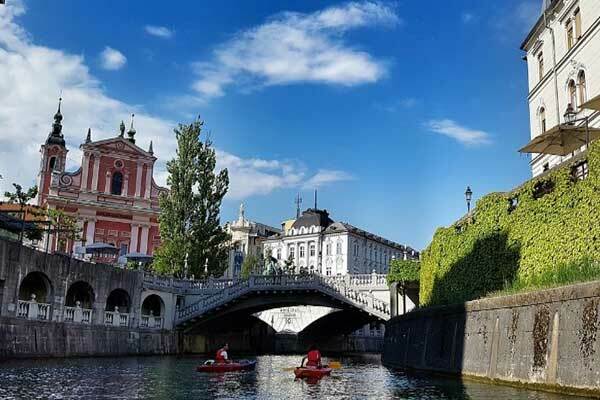 Don’t miss the winding centre of old town, the famed bridge (where divers collect tips and send themselves, hearts racing, into the water far below), or the sprawling fresh market. Those in search of a slice of wilderness will also find mountaintop farm stays nearby. 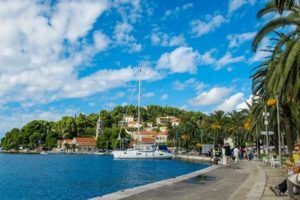 Pronounced “tsav-tat,” this tiny coastal village 20 minutes south of Dubrovnik by boat is just as scenic as its more popular neighbours—but a whole lot quieter. 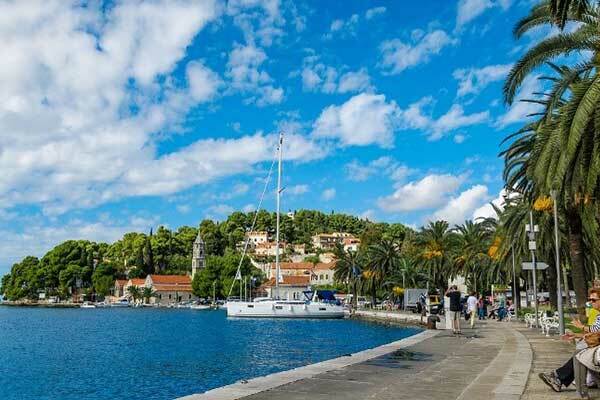 Spend your time strolling the small, well-kept coastal walking path, swimming in the sapphire-blue Adriatic and indulging in gourmet meals at the excellent Bugenvila Restaurant on the water. Close your eyes and picture it: a deep blue lake surrounded by forested hills. In the centre, there’s a tiny island, just big enough for a church where, legend has it, ringing the church bells will grant you one wish. Above it all, a castle perches on the edge of a cliff, surveying its domain. If it sounds like something out of a fairytale, that’s because it is. 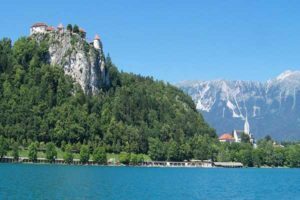 Slovenia’s lake bled is drenched in natural beauty and ancient legends involving cranky fairies, determined lovers and church bells lost in the depths of the lake. Make time for a stroll around the lake (it takes about three hours to walk around the whole thing and every angle is stunning), a piece of the famed creamy Bled Cake, a short uphill trek to the castle (where the views are well worth the $12 entrance fee) and a swim in the cool blue waters. 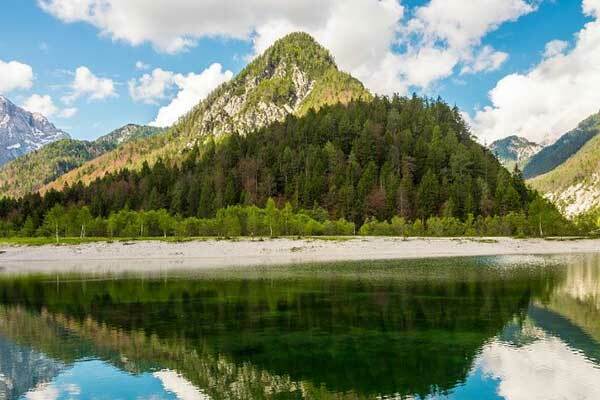 For a quieter but equally pretty lakeshore getaway, make your way to quiet Lake Jasna (pronounced “yas-na”) on the northern edge of Slovenia’s national park. Mountains rise up on every side and well-marked hiking trails ranging from easy to difficult wind into them every which way. An angular wooden café sits on the lakeshore serving up small snacks and drinks and grand mountain houses and hotels dot the hills on one side of the lake. Just a 20-minute walk up the main road, the beloved ski town of Kranjska Gora is where you’ll find most of the area’s accommodations and food. But Lake Jasna is where you’ll find the views—and dozens of gateways into the mountains themselves.